To navigate through complex regulations, and to sustain regulatory compliance with modern GMPs, you need experienced, cost-efficient, and reliable partners. 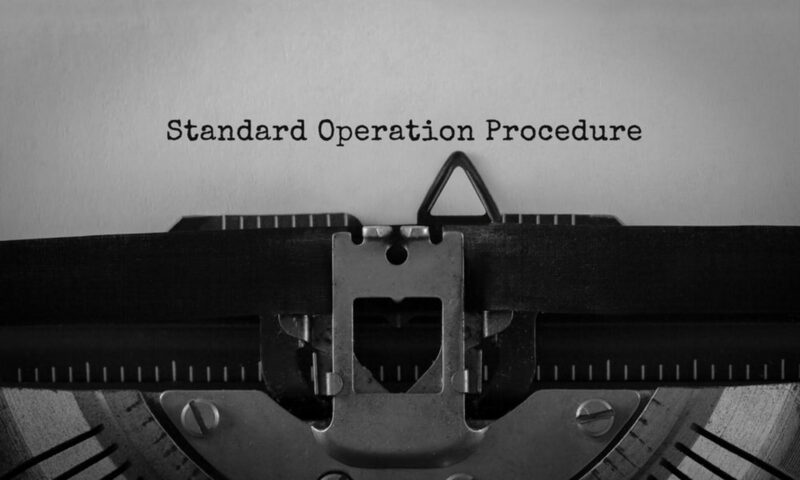 Develop or Revise your Standard Operating Procedures (SOP). To learn more and to get a free quote, please contact us today. We can perform many of the tasks that are part of the Quality Unit responsibilities. Most Quality Management Systems are weakened by lack of effective and well-written Standard Operating Procedures. In some cases, even when key SOPs exist, they miss the critical requirements, both from a regulatory and operational effectiveness aspects. We have successfully helped several clients in establishing well-integrated Standard Operating Procedures that strengthen the Quality Management System, and reduce the cost of quality and compliance. Our SOPS are based on a standardized template and a highly readable and executable form. Our consultants, will do a walk-through of the procedures before developing them, so it will include key inputs from your user group. An effective CAPA program will reduce your overall rate of discrepancies, and compliance failures. We have helped several clients in developing the overall Corrective and Preventive action program that is geared for reduction of discrepant events, human error, and QMS failures. Our consultants will work with you to establish key Quality Metrics, and integrate it with your Quality Assurance plans. This process is not a magic bullet, and it will take some time to implement, but once it is implemented and monitored, your organization will reap the benefits with reduced cost of Quality and establishment of a sustainable regulatory compliance program. Quality Unit is authorized and responsible for a wide-range of activities. FDA typically cites the weakness of a Quality Unit in their 483 and Warning Letters. We will use your internal SOPS and the most current regulatory standards to conduct assessments of your Quality Management System. We will risk rate your compliance and product quality exposure, and provide you with guidance to remediate the gaps. Supplier Management Programs often impose a high level of risk and resource burden for many of our clients. We can help by conducting audits and inspection for these key stakeholders of your Quality Management System. Our consultants will conduct a well-defined assessment of your supply-chain’s Quality Management system and provide you with a professional, risk-rated report. We will even help you with developing and implementing strategies for correcting the weakness of this program. Data Integrity is a very hot topic with the FDA, and rightly so. The requirements are so confusing, and the implementation of secure access and a confident Data Integrity prevention plan so complex. We can help. Our consultants, will conduct a thorough baseline assessment of your overall Quality Management System with regards to Data Integrity. We will even help you with developing and implementing strategies for remediating the breaches and addressing gaps that has already been identified. One of our Quality Staff augmentation service includes a review of executed batch records, and Laboratory Reports. Our qualified staff thoroughly review your batch records according to a standardized template and criteria based on your own internal SOPS. We will highlight any errors, and its impact on the decision for product disposition. An effective Quality Metrics Program is an inexpensive insurance and a key tool for your Senior Management. With the new guidance from the FDA on effect, very few companies have established a robust and effective Quality Metrics program that provides the right, actionable information at the right time. Our consultants, can help you with reviewing and understanding all the key inputs and outputs for this very important program. We will create visual dashboards so that your entire organization is synced towards the common goals of achieving a robust Quality Management System, and a sustainable regulatory compliance program. Preparing for an FDA inspection is not a DIY project. While many companies have competent internal resources, the stress of an impending inspection causes many daily functions to suffer. We, at GMP Scientific, can make it easy for you by managing your overall inspection readiness plan with well-proven strategies, and support your organization with a detailed execution plan. We do it all, from planning and developing detailed timelines, establishing milestones, identifying and reducing risks, communicating with your management, training and coaching your personnel, and augmenting your resources with qualified consultants. These planning and preparation exercises will strengthen your organizational confidence in facing the FDA inspection. Responding to FDA 483 observations or a Warning Letter causes an extraordinary burden on a firm’s Quality System and organizational resources. We, at GMP Scientific, can provide you with expert guidance, in a timely professional manner that will enable you to meet FDA expectations. We do it all, from planning your response and remediation strategy to preparing a detailed execution plan, and support your overall project until you have an acceptance from the FDA. This will improve the overall confidence and improve your organizational competence in responding to the FDA. To learn more and get a free quote on your needs, contact us today. Many of our small and mid-size clients struggle with the development and implementation of an enterprise wide, effective learning and development program. We understand. We will help develop an effective GMP and Technical training program that is integrated with your Quality Management System. Our training modules are customized based on our client needs, and include highly interactive sessions. We agree that a powerpoint presentation or a video show does not guarantee employee understanding i.e the training will not ‘stick’. Our training classes are based on Adult Learning Principles that are powered with active participation. We will also do an assessment before and after the training to demonstrate learning effectiveness. To learn more, download our current training brochure, and get a free quote. GMP Scientific, Inc. is pleased to offer training in the following areas. Our training classes are based on adult learning principles and conducted by qualified and experienced industry professionals. – Current trends in Data Integrity – What is your exposure? Process Validation and Process Capability are more than just regulatory requirements. A validated and capable process demonstrates that it will continue to produce medicinal products that meet the specifications. Secondly, it reduces the overall cost of quality by minimizing wastes due to rejections, and preventing process discrepancies that need to be investigated. We can help you adequately characterize the process and develop a well defined process validation strategy. Secondly, we can also help improve process controls to further reduce statistical variability. Lean and Six-Sigma projects are often implemented with little thought to regulatory requirements of planned redundancies and purposeful oversight by the Quality Control Unit, over manufacturing and related activities. When implemented correctly, however, Lean, and six-sigma project can be well-aligned with the regulatory oversight requirements. We, at GMP Scientific, can help you evaluate all the critical inputs and outputs of the DMAIC process and provide you with appropriate guidance to align your oversight steps.